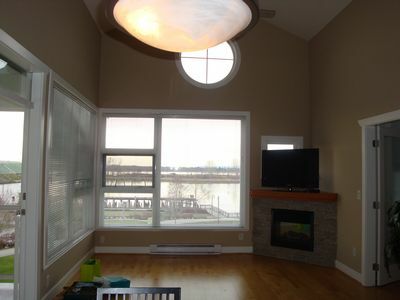 Coppersky - Luxurious 2 bedroom and den suite with oversized open balcony. Amazing water and island views from top floor of the building. 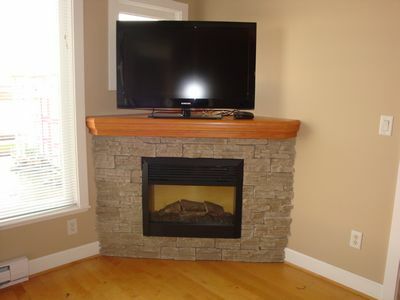 Approximately 1000 sq.ft., 9' high ceiling, 2 baths, cozy fireplace, stainless steel appliances and in-suite laundry, granite countertop, hardwood floors at living room with carpeted bedrooms. 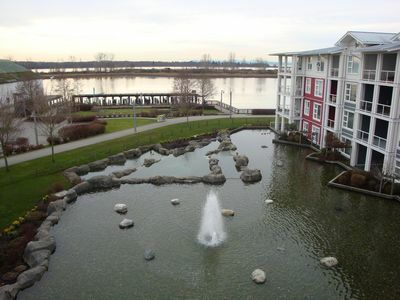 Short walking distance to Steveston Village, dyke, restaurants, parks, school and grocery shopping. Amenities includes bike room, club house and gym. 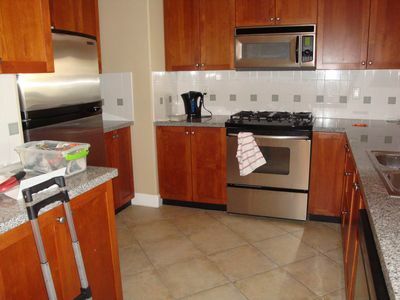 Rent includes 1 secured parking stall and 1 storage locker, available Feb 1, asking for $ 1850/m. No pets, no smoking, 1 year lease. 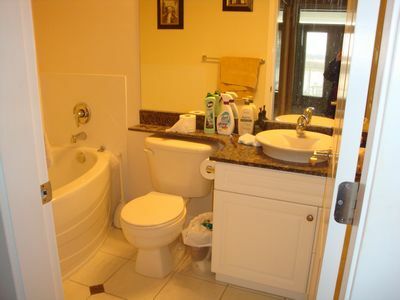 Include: , 1 x Garage parking, Wood and Carpet floor.